JC: For those who don't know, state your name, where you are from, and tell me what skateboarding is like where you are from? KD: My name is Kevin DelGrosso and live in Lockport, Illinois. I’m about 45 minutes from Chicago, out in the sticks. Other then my friends, the skaters that actually leave the skatepark in this area are few and far between. Chicago seems to have a lot going on, but I kind of just admire from a far and do my own thing. There aren’t a lot of really good spots, but we do what we can with what we have. The challenge of finding or rigging new stuff to skate is super fun to me and being in this area without a lot of skaters is perfect for that. 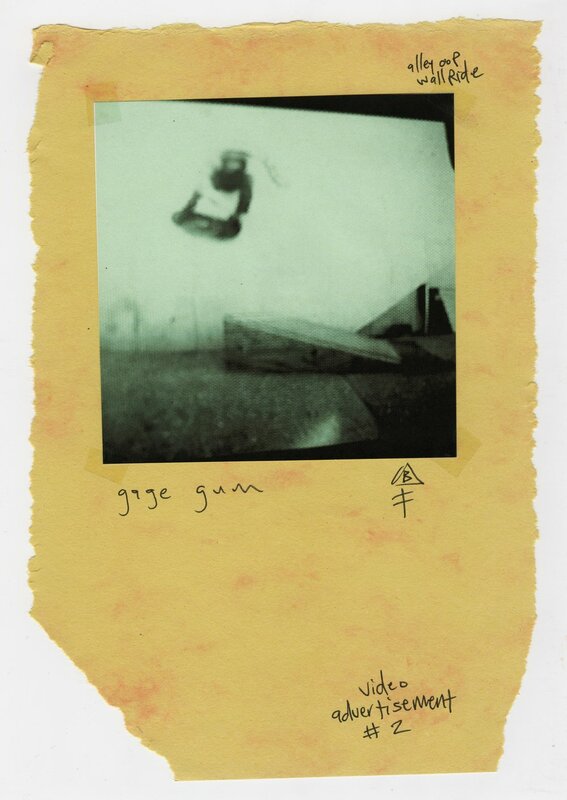 JC: What does skateboarding and making skateboard videos mean to you? KD: The most meaningful thing about skating to me is how it brings me to so many places that I would have never been to. The way you get to experience a place while out skating is like no other. Making videos is my way of documenting those experiences for my friends and I to enjoy as well as everyone else. JC: What are your influences or inspirations when it comes to making videos? KD: Buying and watching skate videos was such a big part of growing up for me. The influences and inspirations are countless. Habitat’s Mosaic was and still is my all time favorite. Habitat videos have a way of incorporating the skaters location or surroundings into their parts really well. The Static series by Josh Stewart does this also and more recently, I’ve been influenced by the Threads Idea Vacuum videos, Chicago’s Deep Dish series, and Comb by Gabe Kehoe out of St. Louis. JC: So was GRAINS your first video? What is your skate video history? I’ve been in and made a few more homie style videos in the past as well as contributing to friends projects, but GRAINS is definitely the video I’m the most proud of and filmed for the longest and worked the hardest on. JC: Do you think that you accomplished everything that you set out to do with GRAINS? KD: Yeah, I definitely do. I really wanted to make a video that showcased parts of Illinois and the Midwest that are rarely seen. There have been a lot of great videos from here with Chicago as its focus, but I wanted to highlight the smaller cities and towns that might be overlooked or just traveled through. As filming went on I started to learn and find out that these cities and towns played a large part into how our area became what it is today. I really wanted to show that and after I found the audio from old educational videos I knew the footage I had already gotten could pair with it. JC: One of the best things about skateboarding is finding spots that are out in the middle of nowhere and skating them and that seems to be a constant theme within GRAINS. Was that something you set out to do from the beginning or did it just kinda evolve into that as you were filming? KD: That was definitely something we set out to do from the start and as filming progressed we dug deeper and deeper. Anytime we went anywhere we took back roads instead of the interstates, I think the smallest town we filmed a trick in was Varna with a population of 358. It was a BS Smith on a closed store front doorway. JC: What was the best spot in the video that represented that sentiment? KD: The whole Gary, Indiana section is probably my favorite spot wise. Almost everything was something that we found or made skateable. That town is full of history and the spots are evidence of that. JC: What was the most challenging thing that you encountered while filming for GRAINS? KD: Getting a good solid crew on board with the crazy missions and trips was tough, but after a few fun and productive ones it got easier. JC: So you have a new video that you're working on that basically is a follow up to GRAINS called GRAINS Preservation Society. Can you explain a little about the video and what we might be able to expect from it? KD: Preservation Society was filmed all in under a year and we stayed much closer to home. After GRAINS was released it got some more people sparked to get out skating every weekend and looking at our area in new ways. I really want to show that in this video. There will be less of a history aspect to it and more just everyone out skating together. Check out some photos from the filming of (Preservation Society) coming soon. JC: Bender has a very cut and paste, do-it-yourself kind of style. Where does that inspiration come from? JB: I'd rather have it that way. I like the look of it more than a Photoshop/Adobe type layout. My friend Shawn, at Slapstik Skateboards, used to hand draw the most intricately detailed board graphics to size and mail them to the manufacturer. 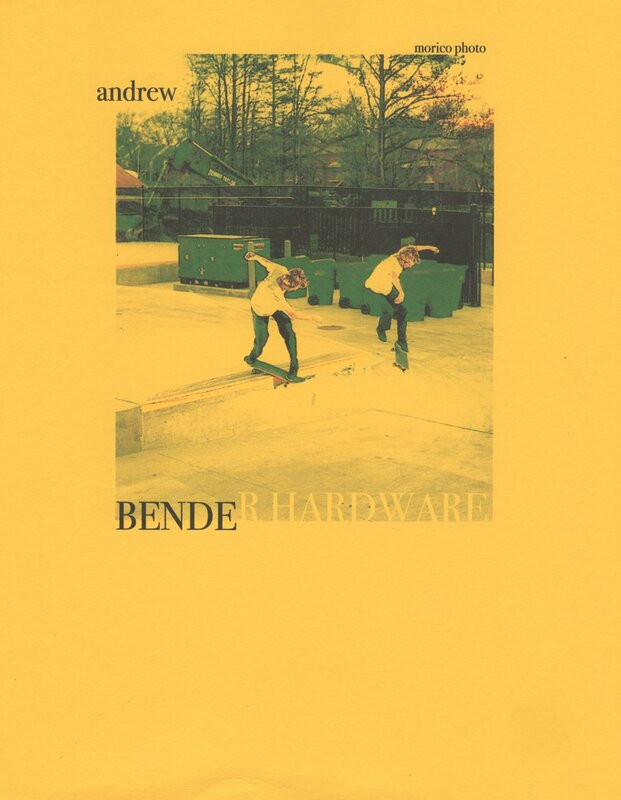 I was really interested in the Andy Howell book section where he talked about skating during the day and then hand drawing and creating New Deal ads and graphics from his apartment in Atlanta. He then mailed them to California. Once I was handed a grip of paper stickers that were hand drawn and photocopied at his home by David Houser at the Athens park. That really stuck with me. 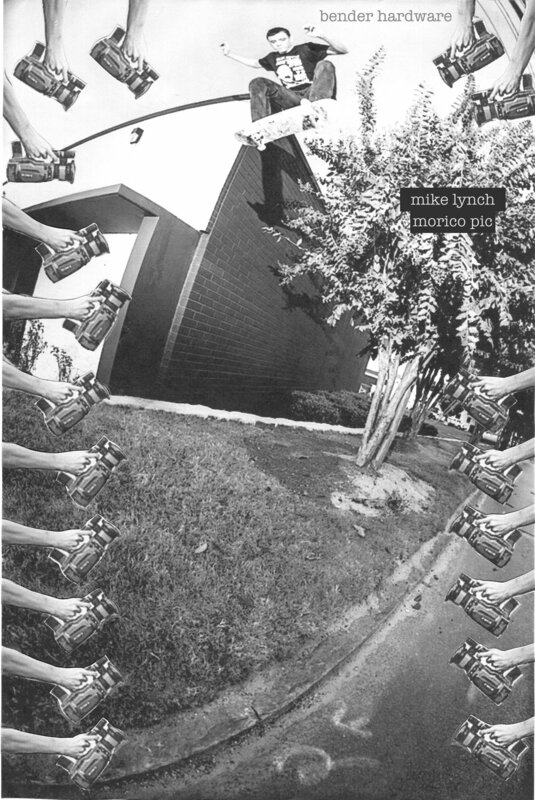 The Skate Fate book truly changed my whole way of seeing things. And from there, using Look Back Library for as many old TWS/Thrasher/PowerEdge magazines I could afford. I've definitely found the style I like the most. 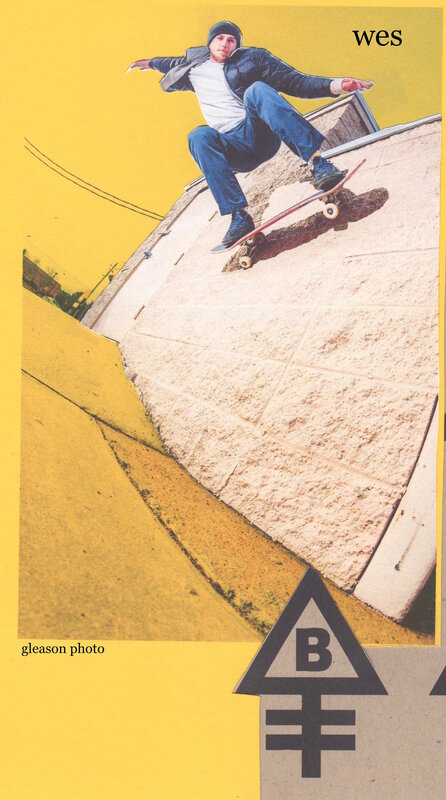 GSD, Tod Swank, Lance and Neil Blender really had some golden layouts in the mid 80's. JC: Tell me about the newest video 'zine? What's your inspiration behind it and what do you hope to obtain by putting it out the way you do? JB: Matt Creasy from Threads Idea Vacuum wanted to do the initial video, but with time restrictions, working together in the sense that everyone goes out for all day sessions three or four days a week, the way we used to make the local videos, just wasn't possible. We then roped John Willis into it, but with the group so big and spread out, that wasn't working either. 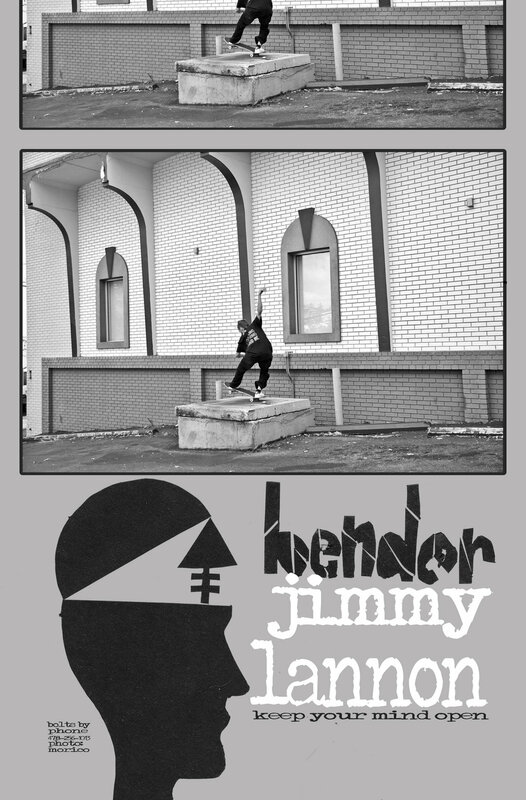 Although John really put in some major effort, he felt like the footage wouldn't create anything that he would be excited enough to work with to make what he thought should be a representation of Bender. I was okay with both of those outcomes. I still wanted to try and do something and Matt explained that I had to figure out a way to make it my style. Or, Bender's style. He expressed the things that stuck with him the most about Bender and that was the cut and paste style and the 'zines. It took a while to process, I had to stop watching all the new stuff that was coming out. I was feeding myself all these new modern projects and was unintentionally getting in that same follow the leader mode. I still watched older videos, but I wasn't watching them for inspiration for this project, yet.... Glam Boys on Wheels, 40's Amigos, Black Label "Crummy Promo", Strange Notes 1-6, 1-10 runs of 411Vm, are always my go to. 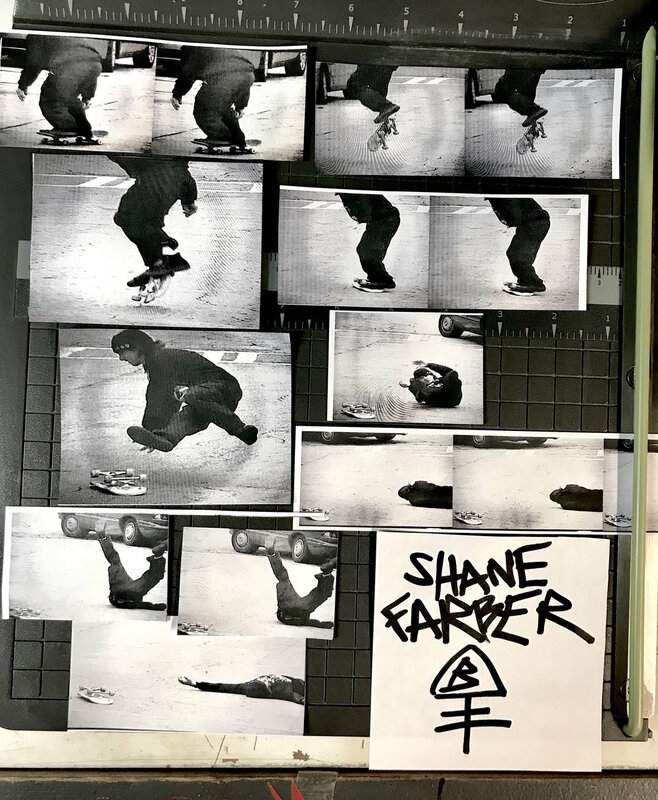 Black Sheep Skate shop did a collaboration with Andy Howell that came with a board and a enhanced 'zine. My friend, Bobby picked it up from them and gifted it to me. Looking through this enhanced zine, it was embedded with all these video clips and photos that you scanned with an app on your phone. I had been re watching, pretty often, the Paisley Skates promo that came on a thumb drive. And it just kind of came, that this is how I'm going to try and present this video. I was going to do it by just filming with some people, like I had been doing, but the majority was going to be hitting dudes up asking them to send in footage and just make a mash up of what they had. With all these older influences and being stoked on making things out of what you have available, I had to explain "send whatever it is that you have". I was anticipating a little twenty to thirty-minute video with filler of super 8 rolls I had shot. And having to kind of make it an art based project more than a full-length video. I asked Scott Wagoner, a longtime friend and respected Atlanta video maker, to help with the editing and creating the project. I think he said there was like five plus hours of raw footage that came in from riders and dudes who were associated and friends of Bender. 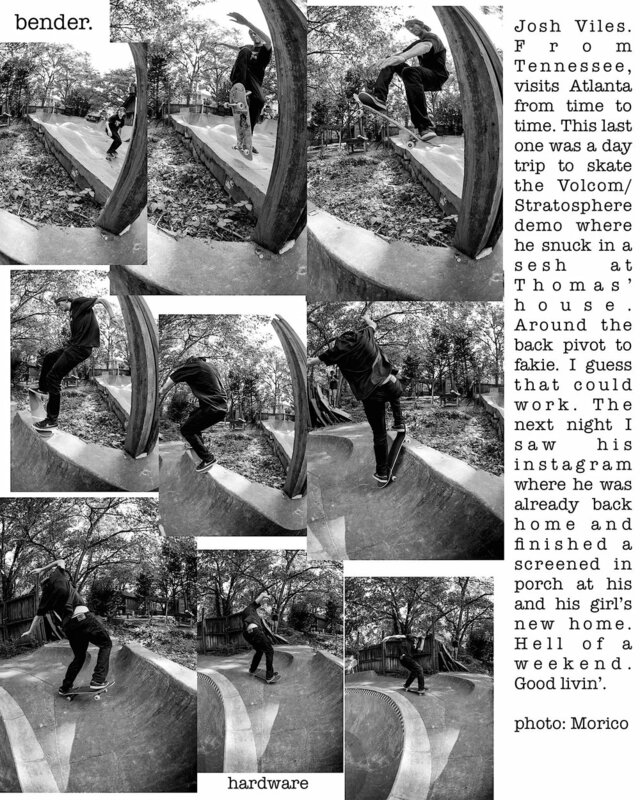 JC: What's up with the Atlanta skateboard scene, past and present. What's the current state of the scene in your opinion? JB: The scene is good. It's always been good and for the last twenty years that I've lived here I can say it's still the exact same. Just different trends and players. There's the backyard ramps, a couple of small DIY spots, there seems to be good crews out in the streets working on projects. Some older dudes at the bar. Some killer dudes coming up. A grip of guys trying to create and capture the scene. And still the main two shops, Ruin and Stratosphere. The local brands seem to be coming in strong, which is sick. 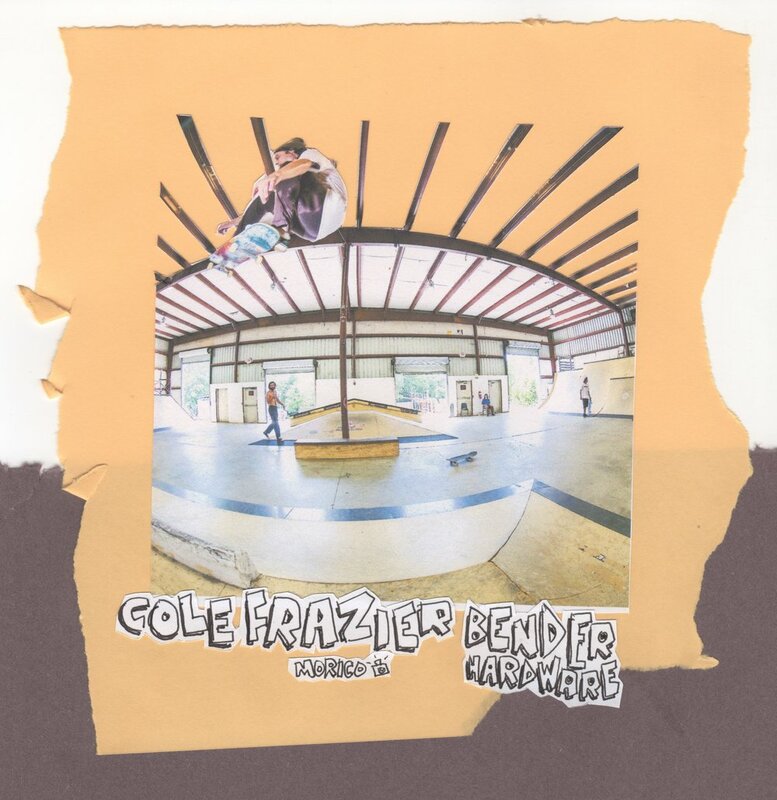 Atlanta has always been really competitive as far as skaters trying to vie for the industry's attention to help create their future with skating. But the newer generation seems to be more based in terms of keeping more things local. Support for regional brands. Creating their own brands. Good things man. I'm glad I get to still be around it and as a 40-year-old dad living in the suburbs it's inspiring to me the support the scene shows for Bender. I love going skating. I love the city, the scene. I love being a part of it and trying to contribute. JC: What's next for you and for bender? JB: I want to get some more little promo type videos going. Figure out how to use the website better. More 'zines. More products. More skating. Shake hands, look people in the eye and keep it going type of stuff.